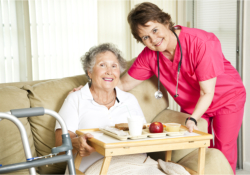 When a home health aide is assigned to care for you at home, you can easily relax. Your comfort and privacy will be preserved – as these are given due importance by home health aides at Absolute Care Staffing Health Agency. We train our home health aides to help you deal with discomfort, pain or the challenging symptoms of your disease. While working under the direction of a registered nurse or with direct orders from your physician, we hope that we can foster faster recovery or lessen the stresses of managing your disability.